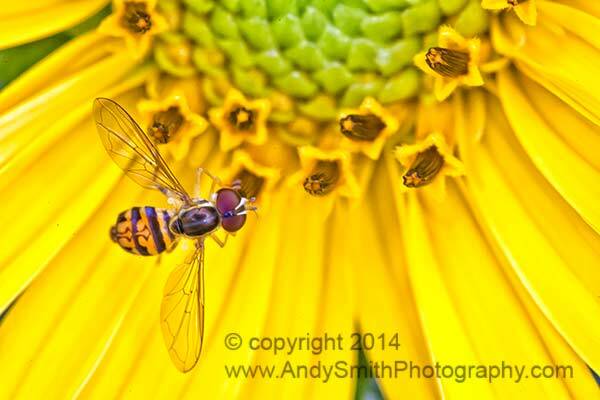 This Syrphid FLy or Hover Fly is on a Black-eyed susan, Rudbeckia hirta, in Jenkins Arboretum, Devon, Pennsylvania. This tiny fly, often mistaken for a bee, is about .4 of an inch long, and plays an important ecological role. In the larval stage it consumes many aphids and other smaller insects that feed on plants. It is also a pollinator as seen in this image.